When I was little….what I wanted more than anything? 🙂 takes awesome to see awesome! I dreamed of being Dr Who myself. And still do. 🙂 Thanks! as a side benefit…pudding pops! I could never be a ballerina i have no grace…i trip over my own feet frequently! Not a princess. No. Not even a little bit. Not enough places to carry weapons in those puffy dresses and too hard to run and climb. I liked my family…they were imperfect, being human and all, but they hardly ever bothered me and being an only child I could kind of disappear. 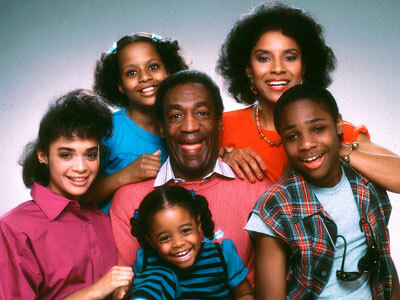 The Huxtable family was too close and clingy for me. I stayed away from everyone, except for my grandmother, who I adored, and I continued to stay away from them for my entire life. I always dreamed of being raised by wolves. I do, however, see the inherent problems with that, but I like animals better than most people so I’m sure we could have worked something out. My wolf parents would have been brilliant and would have taught me language skills, reading writing and howling. They would have played musical instruments and been heavily committed to the arts. They would have been lovely parents, I’m sure. Now that sounds fabulous! I think the Huxtables would have been great for awhile…but probably not for the long haul. In longing for those things beyond our reach, sometimes, we reach all the higher! Excellent writing! I dreamed to have Doraemon as a friend when I was a child, so I could have anything I wanted to and I would know no boredom. It’s funny how our minds were like when we were children. Yes…everything is so much simpler and everything is possible. I dreamed of being in the Brady bunch family. Now that is just to much for me! I guess I had it to good…I never wanted to anyone else or be in any other family. No, it wasn’t a rich family…but I grew up way before the families on television became popular. I’m glad you had it good 🙂 Thank you!